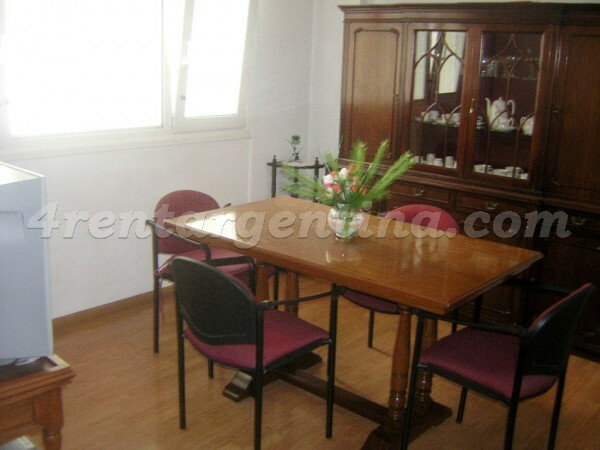 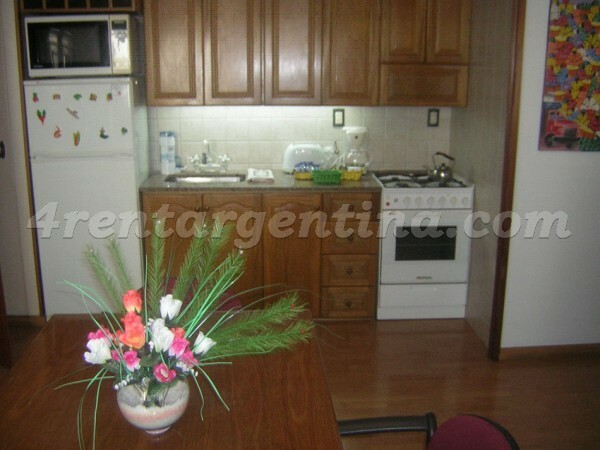 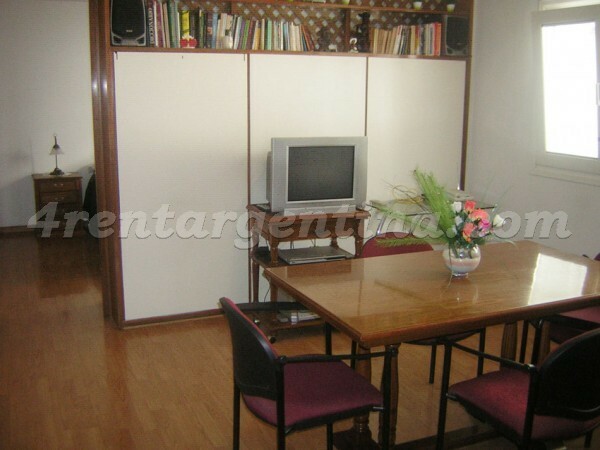 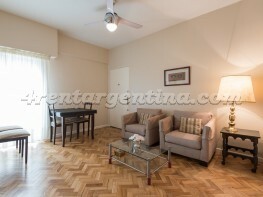 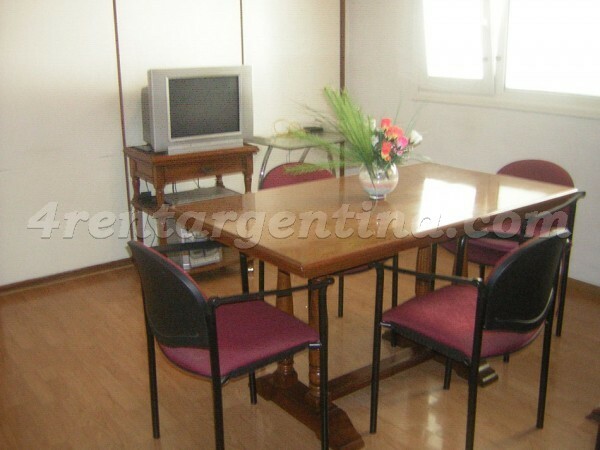 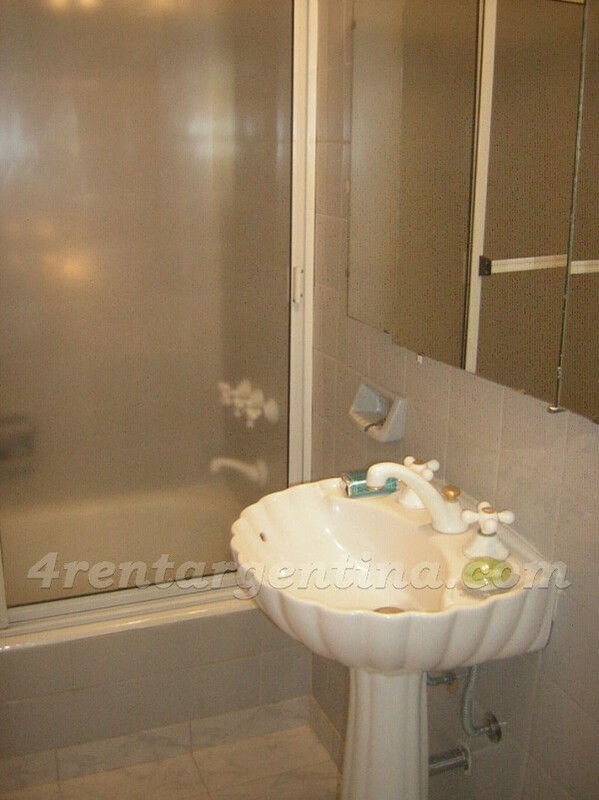 Spacious furnished apartment for temporary rent in Argentina, located in Downtown Buenos Aires, only one block away from 9 de Julio Avenue and two blocks away from Santa Fe Avenue, in an area surrounded by several shops, banks, means of transportation, restaurants and bars. 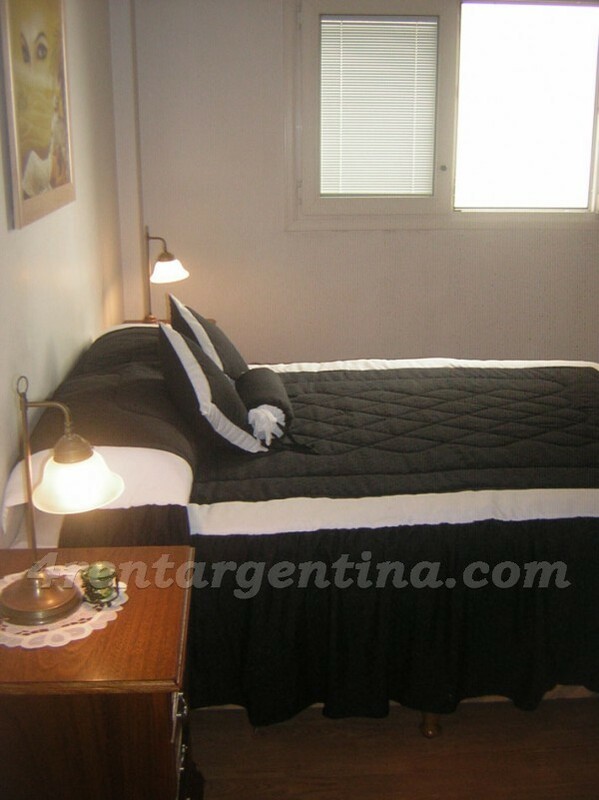 This luminous studio apartment is ideal for two people, features wooden floors, is simply decorated and has everything you may need for an excellent stay in Buenos Aires: a spacious bedroom with a queen-size bed, a fully-equipped kitchen with oven and a full bathroom with tub. 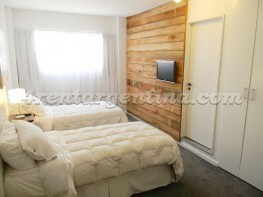 Besides, it has cable TV, air conditioning, heating, DVD player, Internet connection and washing machine. 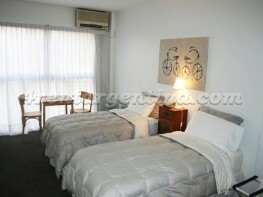 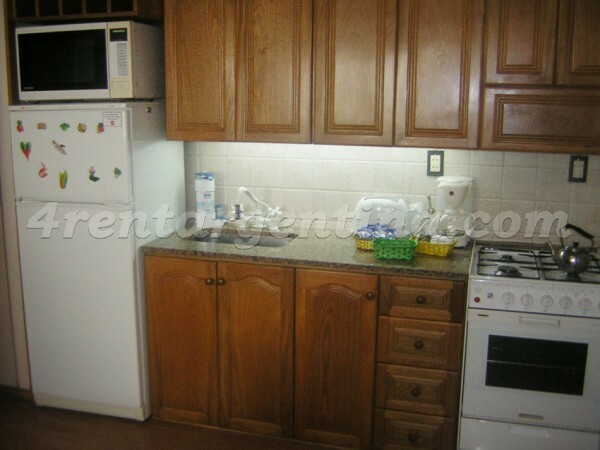 The rent includes weekly maid service and 24-hour security service.